What didn’t happen to you as a child? Over 20 years of practicing psychology, I started to see a factor from people’s childhoods that weighs upon them as adults, sapping their joy, and causing them to feel disconnected and unfulfilled. This factor is so subtle that it goes virtually unnoticed by everyone, while it does its silent damage to people’s lives. 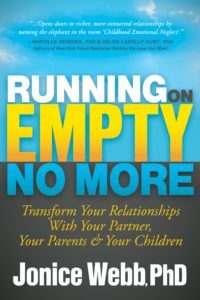 I call this factor Emotional Neglect, and it’s the topic of my self-help book, Running on Empty. 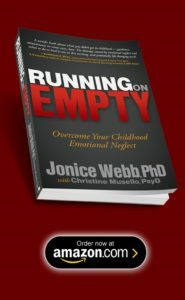 Emotional Neglect is a parent’s failure to respond enough to a child’s emotional needs. 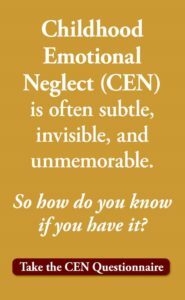 In other words, Emotional Neglect is something that failed to happen in a person’s childhood. First, I’d like you to think of an event that happened yesterday. It can be anything, big or small…just something that happened. Second, I’d like you to think of something that didn’t happen yesterday. My guess is that the second request was quite a bit more difficult to fulfill than the first. That’s because our brains record events as memories. Things that fail to happen go unnoticed, unseen, and unremembered. Mental health professionals, as well as most of the general public, have long been aware of the fact that what happens to us in childhood has a tremendous effect upon who we become as adults. I have become aware that the opposite of this is also true; that what doesn’t happen for us in childhood has an equal or greater effect. Remember that Emotional Neglect is a parent’s failure to respond enough to a child’s emotional needs. Because it’s a parent’s failure to act, rather than a parent’s act; just like we saw in our little experiment, it goes unseen, unnoticed, and unremembered. Let’s say a child comes home from school feeling sad. The parent either doesn’t notice the child’s sadness, or says nothing about it. This probably seems like nothing. Indeed, it happens in every home around the world, and it generally is nothing. So how could an incident like this damage a child, leaving scars that remain into his adulthood? The answer lies in the natural, developmental needs of children. In order for a child to grow up with a complete and solid sense of himself, who he is, and what he’s capable of, he must receive enough awareness, understanding, and acceptance of his emotions from his parents. If there is a shortage from the parents in any one of these areas, the child will grow up feeling incomplete, and lacking some of the skills and self-knowledge and self-care that are necessary to fully thrive in this world. So back to our boy, who came home from school feeling sad. If this happens on occasion, it’s no problem. If it happens with enough frequency and depth: that what the child feels is not noticed, responded to or validated by a parent, that child will grow up with a hole in his emotional development. He may feel that his feelings are irrelevant, unimportant, or even shameful or unacceptable. As a psychologist, I have seen time and time again that these subtle parental failures in childhood leave the adult with a feeling of being incomplete, empty, unfulfilled, or even questioning the purpose and value of his own life. These people can’t remember what didn’t happen in their childhoods. So as adults, they blame themselves for whatever is wrong in their lives. They have no memory of what went wrong for them, so they have no way of seeing it or overcoming it, to make their lives happier. In addition to self-blame, another unfortunate aspect of Emotional Neglect is that it’s self-propagating. 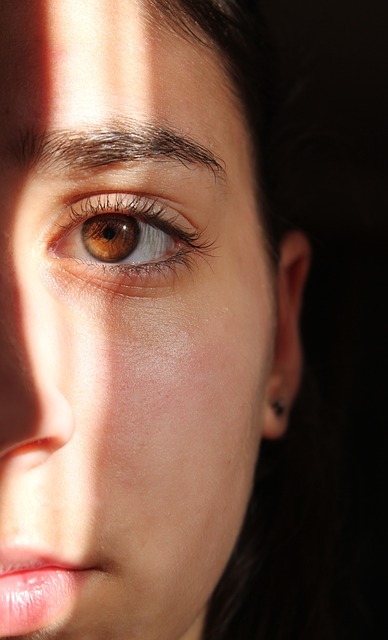 Emotionally neglected children grow up with a blind spot about emotions, their own as well as those of others. When they become parents themselves, they’re unaware of the emotions of their own children, and they raise their children to have the same blind spot. And so on and so on and so on, through generation after generation. My goal is to make people aware of this subtle but powerful factor. To give everyone the ability to look back and see the invisible; have the words to talk about it, and an opportunity to correct it and stop blaming themselves. I want to make the term Emotional Neglect a household term. I want to help parents know how important it is to respond enough to their children’s emotional needs, and how to do so. I want to stop this insidious force from sapping peoples’ happiness and connection to others throughout their lives. I want to stop the transfer of Emotional Neglect from one generation to another to another. I want to give answers to those many people who are living their lives feeling disconnected and unfulfilled, and wondering what is wrong with them.